Cupcakes are all the rage right now. 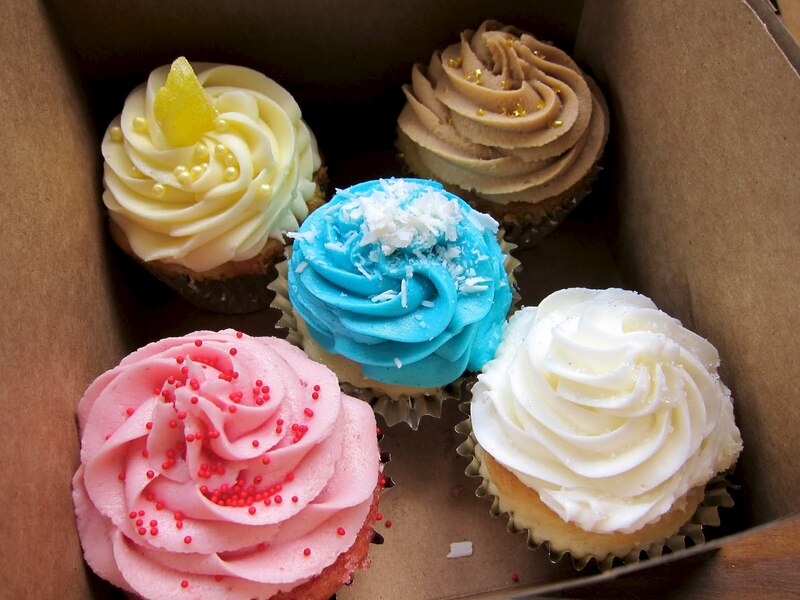 We finally tried the new "cupcake place" in Birmingham - Dreamcakes Bakery. I've heard a lot of buzz on twitter about it and I was anxious to give it a try. I love their logo! They have t-shirts in the shop too. We went after our fabulous meal at Saw's BBQ. We were both too full to eat anything else, so we took the treats home to try later in the day. They didn't have a huge selection when we went in - maybe because it was on a Saturday? Not sure. 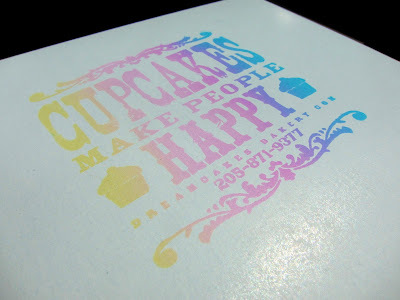 Just a warning, the cupcakes also arent' cheap. They will set you back $3 each. We selected 5 to try - Lemon, Caramel, Wedding Cake, Strawberry and Over the Moon (the blue one). This was lemon cake with lemon icing. It is filled with more icing. This was the best one we tried (in our opinion). 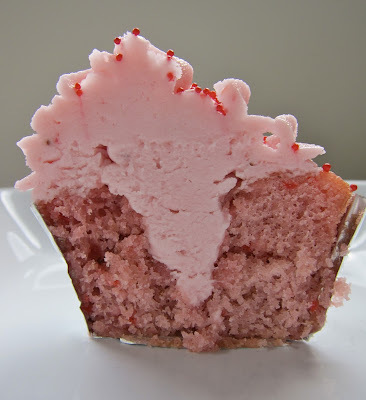 This was strawberry cake and icing. 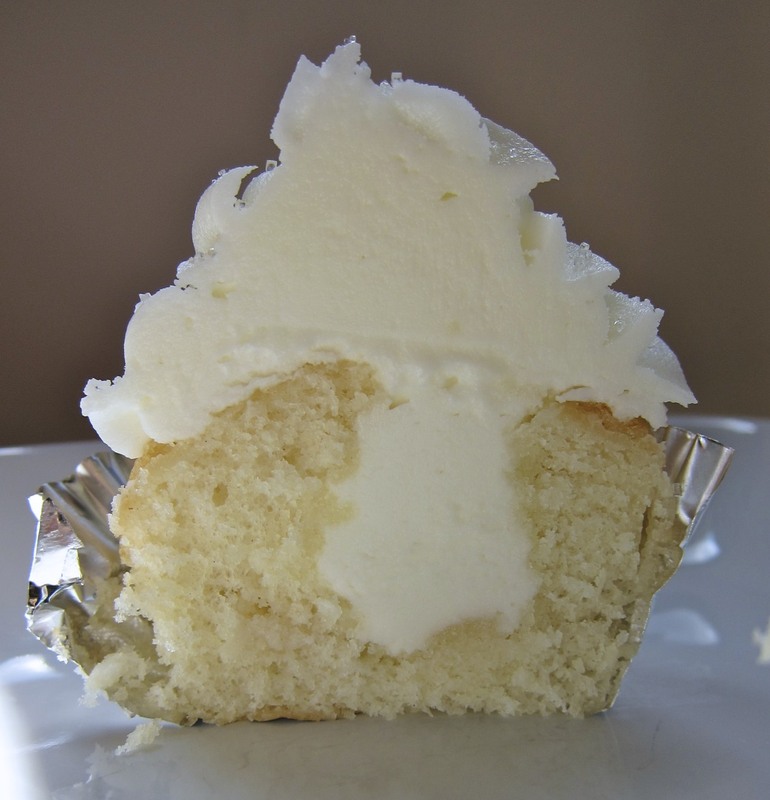 This cupcake is filled with more icing as well. 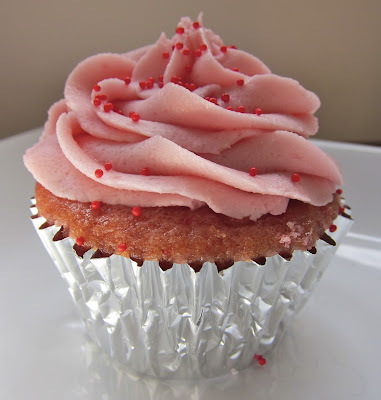 This was not as good as Edgar's strawberry cupcakes, but it was pretty good. 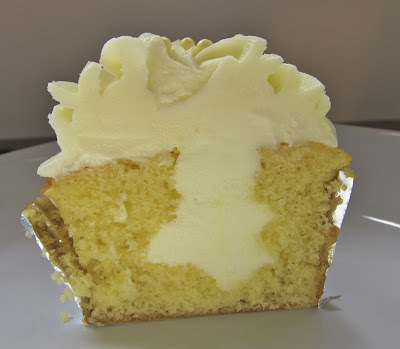 This was white velvet cake with an almond buttercream filling and then iced with regular buttercream. 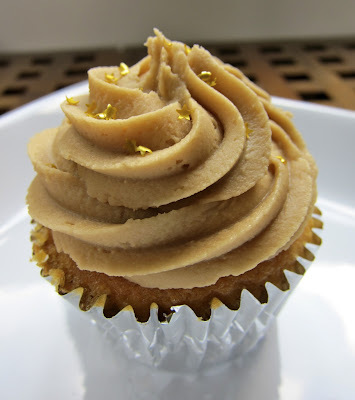 The almond buttercream was amazing! I wished they used that on top too. Another white velvet cake with buttercream. 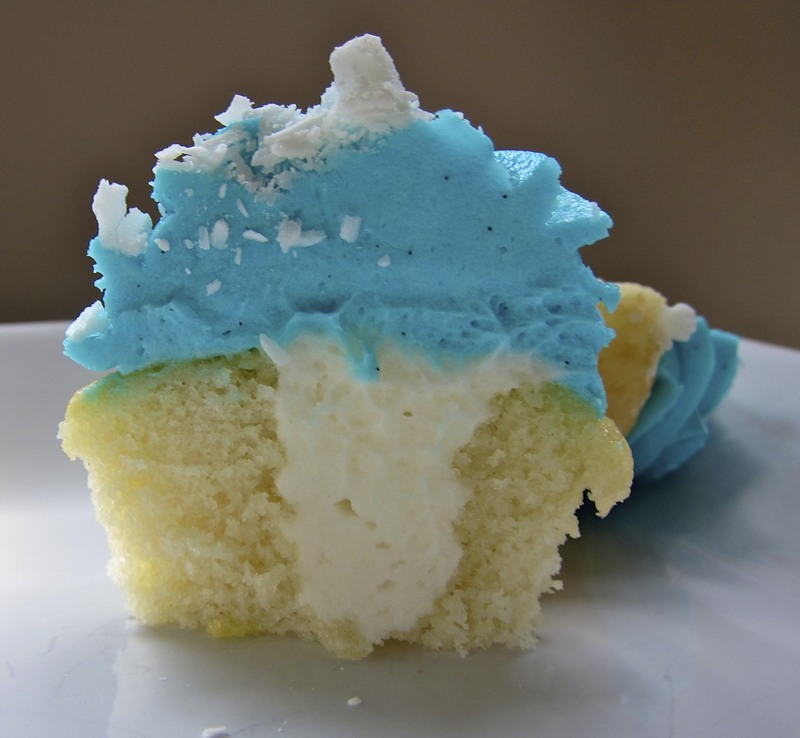 The blue buttercream is topped with white chocolate curls. I was really excited to try the caramel cupcake. 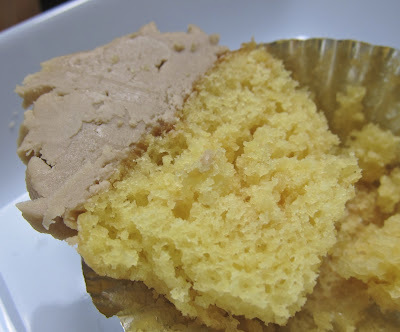 It was butter cake with caramel icing. Unfortunately, the cake was crumbly and the icing overwhelmed it. I coudn't get it to stand up for the photo. 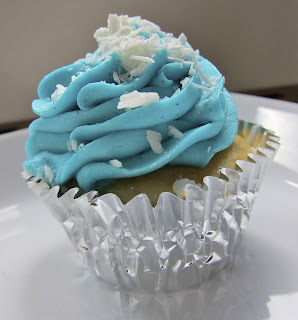 I also cut some of the icing off. Our trip was underwhelming. We need to give Dreamcakes another try during the week and try some of their speciality cupcakes. The menu changes daily. I think we would like the variety better. Those cupcakes look wonderful. 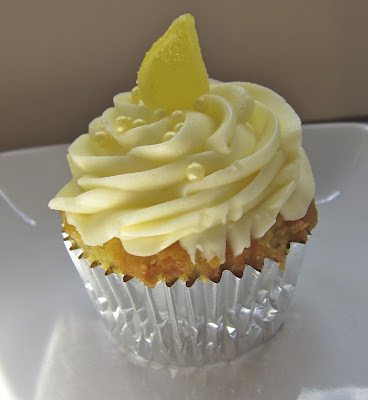 I'd love to have that lemon one right now! I always wondered what the inside of those gorgeous cupcakes looked like! Beautiful! Great cupcake shots! Remember back when we were kids and the only cupcakes that had filling were Hostess? It seems now that filling AND frosting are the norm. Too bad the caramel one wasn't as good as all the others. I gotta tell you that I came to those same conclusions based on your photos. 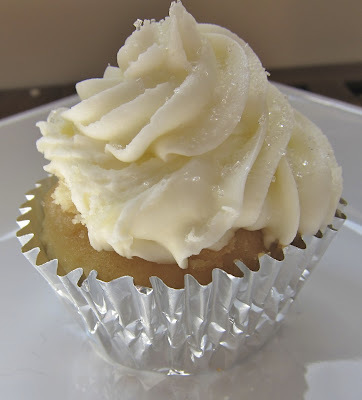 I LOVE frosting and even I thought it was too much and you could tell the crumb on the cupcakes were tight. I went this past Saturday and was so disappointed that they didn't have the coconut cupcake I was craving after looking at the menu online. I want one of each now! Haven't found a cupcake only place around here yet. Expecting one to pop up though. Don't use these people for wedding cakes. They are disorganized and rude. They "didn't have our wedding on the books" and ended up delivering some leftover cakes that were not what we ordered. However, they had no problem charging our credit card in full! When we objected, they denied any responsibility and told us that they were too busy to keep up with all the cakes and we should have called them to make sure they were delivering the cakes. They may be good cupcake bakers, but don't count on them for a wedding! @REH2 -That is terrible! I can't believe they did that. You should dispute the charge on your credit card. That isn't right. I found their cupcakes to be dry and unimpressive. I'm not sure what the big buzz is about. I agree, not a fan of their cupcakes at all. BUT their oatmeal cream pies are pretty amazing. I don't go often but when I do, that's what I get.